The Lagos State Chambers of Commerce and Industry (LCCI) has reacted to the plans by the Federal Government to shut land borders to curb the challenge of increased rice smuggling. 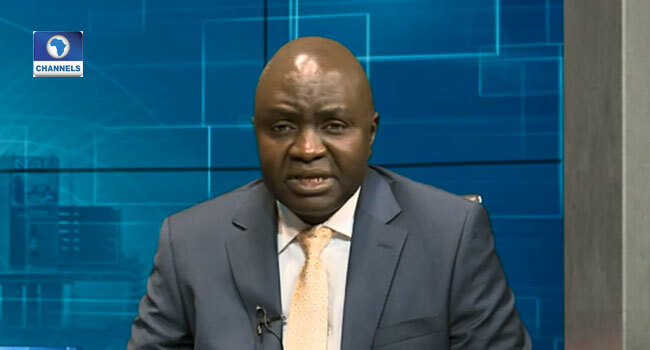 Director General of the LCCI, Muda Yusuf, who was a guest on Channels Television Programme, Business Morning, on Tuesday said the Federal Government needs to be more strategic to successfully tackle the issue of smuggling foreign rice into the country. “We have to be more strategic when dealing with economic issues. This is a very simplistic way of dealing with the challenge of smuggling. Smuggling is a symptom of a problem and when you begin to fight a symptom you cannot solve the problem. You need to identify the cause of the problem. He said although the Federal Government has taken steps to boost Agriculture and rice production, the demand, however, surpasses the supply. “Although, there have been some efforts (by the Federal Government) to support the production of rice, we are still very far from what the demand is. There’s a demand gap of close to 2.5 to 3 million metric tonnes of rice locally,” he said. The Federal government had earlier intimated of plans of shutting down the land border between Nigeria and a neighbouring country to avoid smuggling of foreign rice into the country. The Minister of agriculture and rural development, Audu Ogbeh, on Monday, said this was necessary to encourage local production and sustain the economy of the country. Although Ogbeh did not state which neighbouring country exactly is affected, he noted that the rice imported into the country may look sophisticated, but it is acidic and poisonous, hence the need to shut the border and protect the health of Nigerians. “Our other problem is smuggling. As we speak, a neighbour of ours is importing more rice than China is importing. They do not eat parboiled rice, they eat white rice, they use their ports to try and damage our economy. “Some people say they prefer Thai rice because they are very sophisticated, welcome to poison,” Ogbeh said.